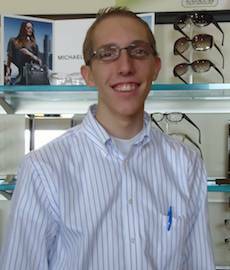 Steven is the Optometric Technician at TSO Allen which includes helping patients through pre-testing before the eye exam with Dr. Robertson. Steven has lived in the Allen area since he was a child. He is currently a student at Collin College pursuing an undergraduate degree. Steven’s hobbies include restoring classic cars and spending time with his family.